1. Weight: Less than half the weight of lead acid battery. 2. Discharge: Lithium-ion batteries are discharged 100% versus less than 80% for lead acid. Most lead acid batteries do not recommend more than 50% depth of discharge. 3. Cycle Life: Rechargeable lithium-ion batteries cycle 2000-5000 times or more compared to just 400-500 cycles in lead acid batteries. 4. Voltage: Lithium-ion batteries maintain their voltage throughout the entire discharge cycle. This allows for greater and longer-lasting efficiency of electrical components. Lead acid voltage drops consistently throughout the discharge cycle. 5. Cost: Despite the higher upfront cost of lithium-ion batteries, the true cost of ownership is far less than lead acid when considering life span and performance. 6. Environmental Impact: There is far less disposal and environmental hazard posed by lithium batteries compared to the short-lived and toxic lead acid batteries. 7. 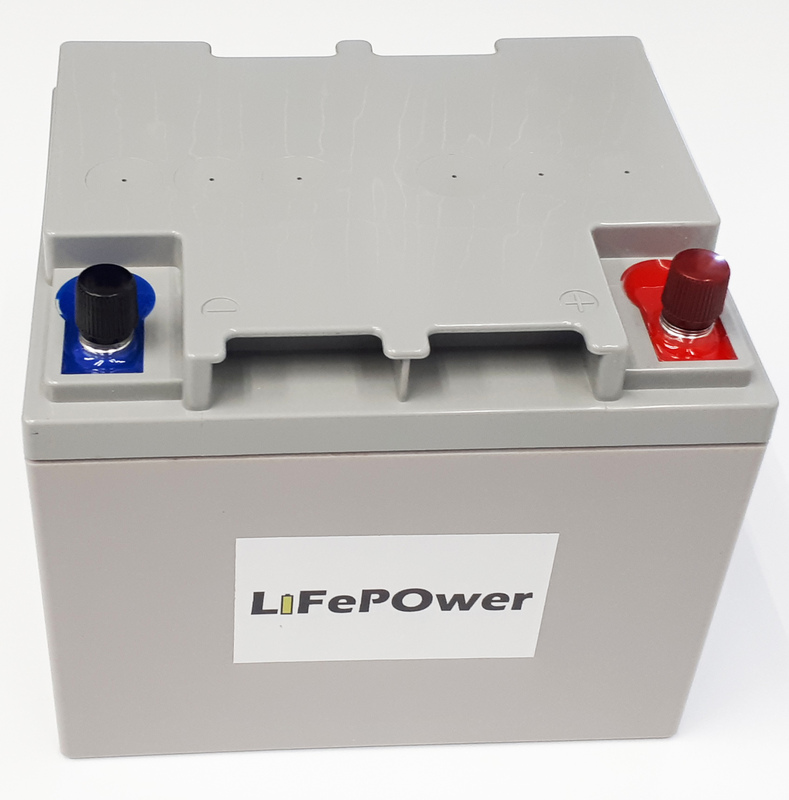 LiFePO4 battery is the most stable and safest among other lithium ion batteries. *Lithium battery only can connect in parallel, not in series. If you need to do a 24V or 48V battery bank, order a 24V or 48V battery.